A new version of Agile Membership management module 1.2.0.5 is released today. With this new version release, it now supports free membership. The following new features are added to existing many other features available now. As store owner, you are able to setup unlimited number of free membership types. What you need to do is set register products under membership category and set the price to 0. - Each user can only use one time for each type of free membership type. - If user try to order/purchase/buy the free membership type that he/she has been used before, a alert "do not quolify" message will be displayed on the shopping cart. See below screenshot image. 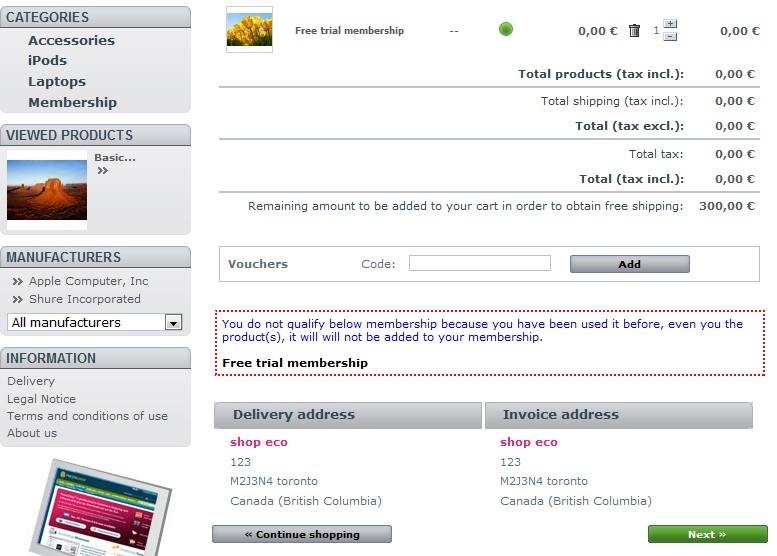 -Even if user add and purchase the same free membership type, it will not be added as valid membership. What is Agile Membership management module? 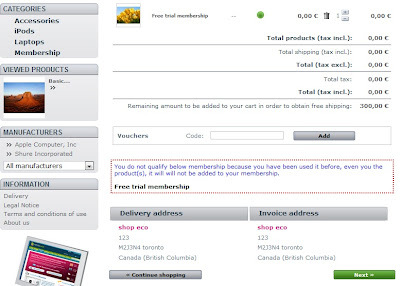 Agile Membership management module is a PrestaShop membership module. It is easy to install and configure. It will help store owners manage their membership based online store effectively and focus on their on business. With Agile Membership, you will have control of membership fees, membership expiration, member only access contents.